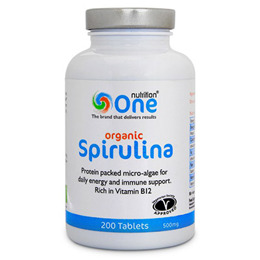 Bursting with more green goodness than you would think, One Nutrition Spirulina helps you achieve your goals. Unlike many green foods, One Nutrition Spirulina is easily absorbed by the body, ensuring you get the full benefits from all its nutrients. The One Nutrition range is designed to maintain nutrition when used as part of a healthy diet and lifestyle, and you can choose from tablets, capsules or easy to mix powders. Food supplements should not be used as a replacement for a balanced diet or healthy lifestyle. 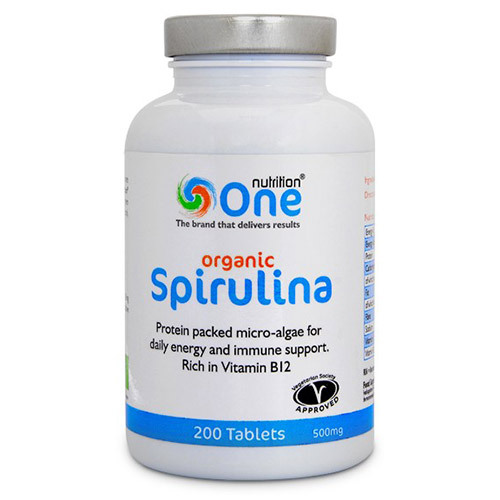 Below are reviews of One Nutrition Organic Spirulina - 200 x 500mg Tablets - Best before date is 31st May 2019 by bodykind customers. If you have tried this product we'd love to hear what you think so please leave a review.